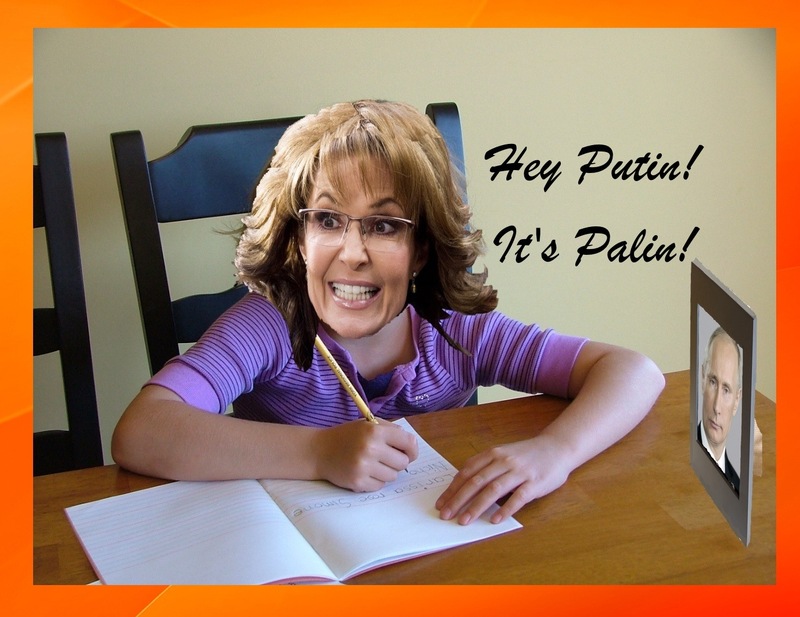 Sarah Palin Launches Her “Let’s All Write To Foreign Leaders” Campaign! Palin encourages all true Americans, whether elected official or simply Joe the Plumber, to get out there and mix it up with any country, they feel needs a dose of good old red white and blue freedom lessons. Setting the example Sarah immediately dashed off a somewhat cordial, yet threatening note to Mr. Putin letting him know that she is continuing to keep her eyes on him and Russia and will not be distracted during the planning of her daughter Bristol’s wedding. The missive will be sent as soon as her assistant spell checks it. This entry was posted in Politics, Scoop, Whores and Horrors and tagged #iran, #putin, #sarahpalin. Bookmark the permalink. 3 Responses to Sarah Palin Launches Her “Let’s All Write To Foreign Leaders” Campaign! I’m all for this. If she spends more time writing letters, it will keep her off camera, and it might even encourage her to READ once in awhile. I agree, Mikey. Why is it that the most ill informed, inarticulate members of the GOP feel compelled to represent the United States on an international stage. My friends in Canada asked me if I am embarrassed, and yes, I am! After all, she can still see Russia from her living room in Alaska and she is so well informed by watching Fox News, reading the Wall Street Journal and the Washington Times.